The mortgage approval process consists of four phases which are often confusing to borrowers: Pre-Qualification, Pre-Approval, Conditional Approval, and Clear to Close. A pre-qualification is an estimate by the lender of an amount you may be qualified for to purchase a home. During this phase, the lender will typically run credit, calculate a debt-to-income ratio and determine that you meet the general guidelines of the mortgage program for which you are applying based on information you have provided regarding income/employment/assets, etc. During this phase there is typically not an extensive review of documentation. This should be done in the early phases of preparing to purchase a home. The level of review of documentation and whether or not credit is pulled at that time often may vary by lender. For this reason, if is often preferable that you obtain a pre-approval rather than a pre-qualification if you are serious about making an offer on a property. A pre-approval is a more in-depth review of the borrower’s qualifications and will include a review of income and asset documentation. The file will also be submitted electronically through the Fannie Mae, Freddie Mac or FHA automated underwriting system. This system is used by all lenders to assess the quality of the loan file. When the file is “approved” through the automated system, there is a higher likelihood the file will pass through underwriting, assuming that the documentation eventually provided to the underwriter supports the information uploaded to the system. In some cases, the system will not provide an automated approval. In this case, many lenders will not accept the file into underwriting without the system approval and the application will be denied. There are some lenders who will accept these files. This is referred to as “manual” underwriting approval. Applications that do not meet the system guidelines for approval, but are accepted into manual underwriting typically must meet a higher level of scrutiny by the underwriting department before they will approve it. Each lender varies on what they will require for these files, but typically they will have more stringent guidelines for evaluation of debt-to-income ratio, credit history, etc. Once the file is approved through the system, the lender submits it to underwriting, along with all of the supporting documentation that is available. This documentation will usually consist of paystubs, w-2’s, tax returns, bank statements, identity documents such as driver’s license and social security cards. Upon completion of the review the underwriter will usually issue an “approval with conditions”. This means that the file continues to meet the guidelines for approval, but there are still some documents that must be reviewed – in other words – still some “conditions” to be met before final approval. This could be either because the documents provided raised additional questions, or maybe some documents were missing. On the initial review it is not uncommon for some of the documents to be unavailable, such as title work, appraisals, homeowner’s insurance, etc. This is also another point in the process where a file can be denied. This may happen if the documentation provided did not support the initial application, or if additional information not included on the application came to light during the underwriter’s review. Once all of the documents have been received and approved by underwriting, they will issue what is referred to as “clear to close”. This means all requirements for loan approval have now been met. The lender will send a complete loan package to the title company/closing agent to prepare for closing. The title company will prepare a HUD Settlement Statement, which details all of the costs for both the buyer and seller and calculates the final sums that will be due to or from the parties at closing. Once the lender approves the HUD Settlement Statement, the closing can take place and funds will be disbursed to the title company to be distributed to the parties in accordance with the final HUD Settlement Statement. 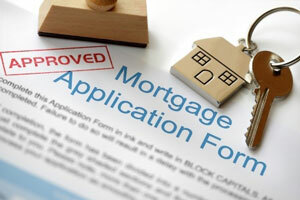 This process will vary in time from lender to lender, from as little as two to three weeks to several weeks. There are many reasons that timelines can vary significantly: lender backlog, borrower cooperation in providing documents, delays in ordering and receiving appraisals and title work from third parties, repairs needing to be made to the home once inspections and appraisals are completed, verification of tax return information from the IRS (which can be particularly slow around tax return filing deadlines), etc. However, aside from unforeseen circumstances, such as home repairs needed, 30 days from contract date to closing is a reasonable expectation.